WOW! 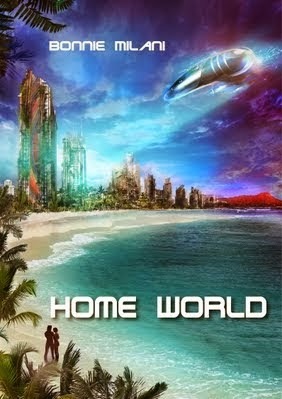 Women On Writing Blog: Bonnie Milani, author of Home World, a Sci-Fi Love Story, launches her blog tour! THANK YOU SO MUCH for giving me the chance to chat. And to chat about Home World, no less. It's an honor and a delight. Is there anything I can add? Anything you think your readers would enjoy chatting about? I would so love to hear from folk! Delightful interview, ladies! Bonnie, your writing group sounds fantastic! You're so lucky to have such great support. I was in Studio City the other night for a girls' night at Black Market (fabulous pub!) and Sugarfish (the best sushi I've had in a while)--love the area. Congratulations on your debut novel! Home World sounds like an exciting read. Good luck on your tour! Glad to 'meet' you, my dear! Say, why not stop by the Weds night Two Roads writer's group? We're a welcoming lot. Weird, maybe (hey, writers...what can I say?) but friendly. DO feel free to just come on in! Tell 'em I sent you. I love how you said MAKE time to write. You are so right about that. I've been learning a lot about that during NaNoWriMo which I am doing for the first time this month. I'm behind, but not terribly yet, so I'm trying to get some good habits for working on my creative writer. As a full-time writer/editor, I feel like I write a lot but not always on the stuff I am most passionate about. :) Thanks for reminding us. Good luck with Home World. Wonderful interview and very awesome worldbuilding! I can just tell from the blurb this will be a great read. Best wishes on the book! Nice interview, It is really a good story.